Britain's Water Shortage: What Have We Learned From Summer 2018? Britain’s Water Shortage: What Have We Learned From Summer 2018? What did the summer of 2018 teach us? It taught us that bitcoin prices can be manipulated using Tether. It taught us that Russia can rig its own election but cannot rig a World Cup, and it taught us that North Korea just needed taunting to quit making bombs and join the international community (or not). What we have also learned is that Britain’s Water Shortage Problems Are Not Going Away! You can blame the water board if you want, they are partially responsible. You can blame climate change too, but climate change in the UK has made it wetter (not drier). Some people blame the damage that we are doing to natural aquifers, which is partially to blame. 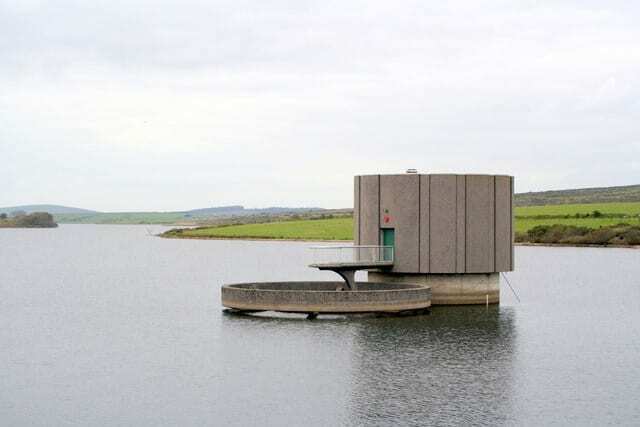 But, do you know why Britain’s Water Shortage Problems Are Not Going Away…because there are more people being serviced by the same reservoirs. The UK sees an average population increase of 0.8% every year. The US sees 0.7% and France sees 0.4%. In 2000 there were 58 million people, there are now 65 million people, and each of those people drinks water, take showers, wash their clothes, wash their cars, water their lawns, and so forth. We can blame the water board for not fixing leaking pipes, or for not introducing already-developed water-saving measures like the ones in LA, but the fact is that there is an increasing number of people draining a finite amount of stored water. We used to have droughts and hosepipe bans because of the El Niño weather anomaly, but we now see droughts and hosepipe bans because it didn’t rain for a few weeks. We use more water during the summer months, and the summer months are when we get the least rain. It is not just us having to take more showers, there are also more farmers watering their crops, and more people watering their lawns. Trousers cannot be casually worn for three days because they are sweaty, and bedsheets need washing more frequently because we sweat more at night. You simply cannot avoid taking a shower because the warm weather has made you greasy, sticky, and smelly. Remember between December 2017 and May 2018 when it rained almost all the time? Remember how your car always had some sort of sludge on it because you drove on wet roads? Do you remember the boggy fields when you walked your dog? Now there is a hosepipe ban in many areas with some areas seeing bans after just four weeks of sun with no rain. Some councils issued hosepipe bans and drought warnings well in advance of there being a problem because they were afraid of the coming sunny weather. Northern Ireland made such a pre-panic move that they lifted their pre-emptive hosepipe ban after just three weeks because they realized they jumped the gun. You are probably tired of reading about dumb ways to save water, such as fixing your dripping tap and filling your washing machine better. It is as if other writers think that the average person sits at home in a paddling pool, brushing their teeth with the garden hose on and filling their kettle to the top every time they make a single cup of tea. The fact is that you are probably not using that much water, and you are hardly to blame for the half million new people in the UK in the last 4 years. The key to saving water is to change the way you expend unnecessary water, such as when watering your garden, washing your car, or even playing water-fights in the garden with your kids. The fact is that you need to use water every day. You need to take showers, wash your clothes, and you need to drink. The best thing you can do is save rainwater for times such as these. You can still have a green lawn and a clean car because you use rainwater that you saved over the rainy months. There are systems that allow you to harvest water from your drainpipe, which turns your entire roof into a large water collector. Companies such as ‘Tanks for Everything’ have developed some pretty sophisticated water-collection kits that collect, store, and move rainwater. Alternatively, you can buy large plastic tubs with lids on and rig your own collectors. Collecting and storing water doesn’t have to be as difficult as the water board makes it seem. Also, remember that rainwater is far better for your garden plants and grass than tap water, but avoid using rainwater on your indoor plants because it encourages rot (which is great outdoors with worms chewing through it, but not indoors where your plant pot soil may fester).